As a cost reduction consultant, I often get asked about the difference between fixed and variable costs. If you are a business owner, it’s important to understand not only the differences between the two but also the implications of managing each type of cost. There can be hidden costs in your business that are fixed or variable, and while it’s good to get both types of costs down where appropriate, they may need two very different approaches. Whether you’re running a start-up or an established multi-national corporation, here’s a useful guide to fixed and variable costs you could encounter along the way. Fixed costs are included as part of one’s overhead costs. These are costs that are fixed, at least in the short term. 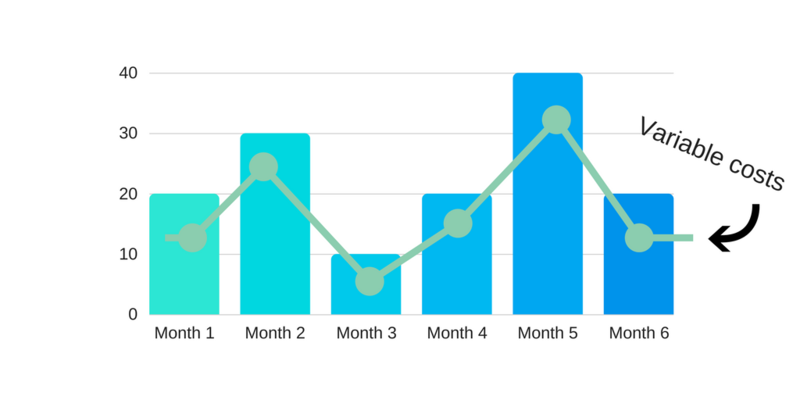 These are the costs that don’t change no matter your revenue or how busy you are. If you rent premises, then the rent will be due exactly the same each month, even if you’ve not used it. The monthly lease on your company vans could be the same each month, whether you’ve driven 10,000 miles or they’ve not left the driveway. Fixed costs are difficult to change in the short term, though you can adjust them to suit your businesses’ needs in the longer term. Variable costs can also be known as unit level costs. These costs change depending on how busy you are, often in line with your revenue; the more you sell, the more you need to spend to meet the relevant costs associated with the sale. For example, if you’re a printing company and receive an order to print some company brochures, the amount of money you spend on paper and ink will vary depending on the volume of the order. Reducing variable costs is easy – you just buy less of the relevant item – yet variable costs cannot be avoided if you are to be productive and meet the needs of your customers. You can, however, find ways of reducing the prices of the stock that you buy in. 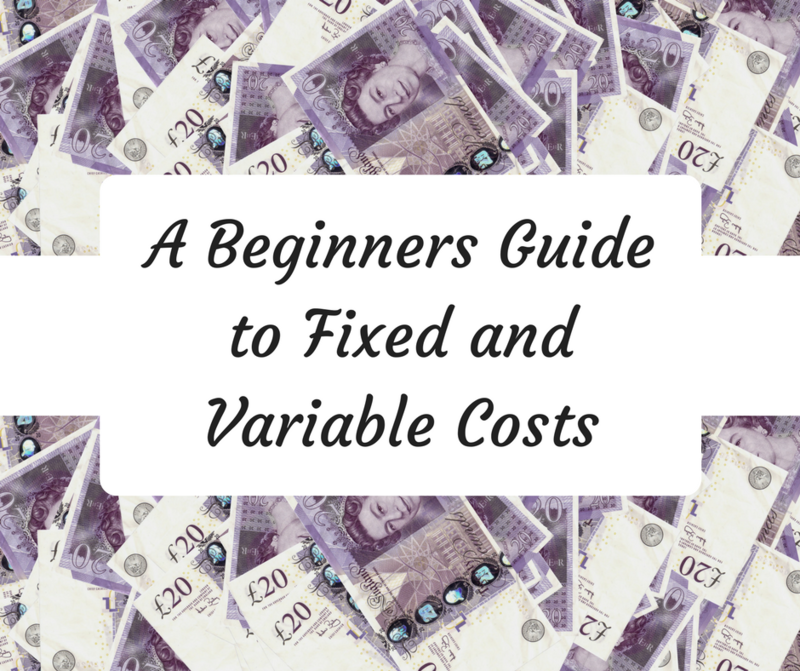 What is a fixed cost and what is a variable cost? Expenditure in your business can be fixed or variable. It’s important to understand what causes costs in your business and with each job in order to set your prices at levels where you can be competitive and make a profit. Staffing costs can be fixed or variable depending on how you employ people. If you have a receptionist who works fixed hours, five days a week, then you will need to pay them for all of the hours you make them work whether they have no phone calls or visitors to deal with in a particular week, or many, this is a called a fixed cost. If you have staff who only work when you are busy – such as agency workers who come in to pack boxes or freelancers who are happy to be paid an hourly or day rate – then these are variable costs. These costs can be set back to zero when you have no work on at all. Just be careful that you’re employing people legally – you can’t make someone self-employed just to suit you and your businesses’ profits. Take advice from an employment law specialist if you’re not sure. For businesses that pay business rates, the same rates are due whether you use your premises for four hours a day, or 24. You don’t get a reduction when you’re closed for the holidays, or if your sales suddenly drop. Business rates are certainly a good example of a fixed cost. There will be many examples of fixed and variable costs in your business. Can you think of any more? The joy of fixed costs is that you understand exactly what you’ll be paying each period. 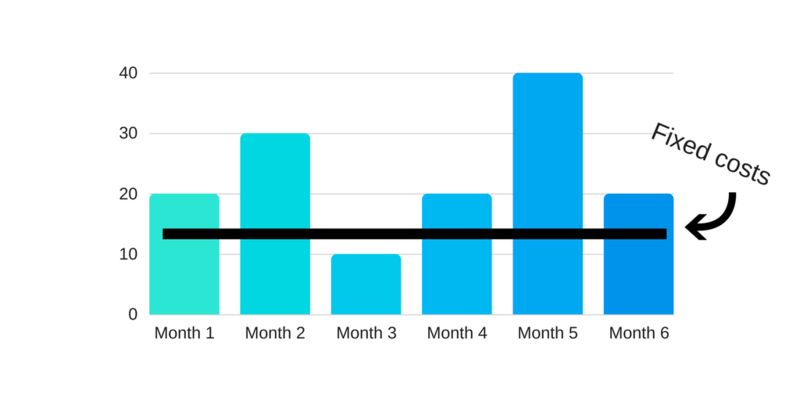 You can often negotiate better rates for taking out longer-term deals too. The downside is that you’ll be paying these costs whether you’re busy or not. When you are paying for something on a fixed basis – for example, an office, or a leased piece of equipment, it’s important that you use it to as near capacity as possible to get the full value from it. The joy of variable costs is that if you’re not busy, then these costs fall on their own. The downside is that generally, these costs can fluctuate as you go along. Buying stock, consumables, and paying for agency staff as and when you need them can mean it can be difficult to negotiate a longer-term deal. It’s important to understand exactly each and every variable cost involved when taking on new work, so you don’t end up doing the work at a loss. From man-hours to raw materials, to energy costs, everything needs including in the contract or sale price. Don’t forget to leave some profit for yourself too! Contribution is the amount of Gross Profit you make after selling goods which have a mark up added to the goods that you buy for resale. To price up goods for resale, you need to take into account the other overheads you have in a business, i.e. 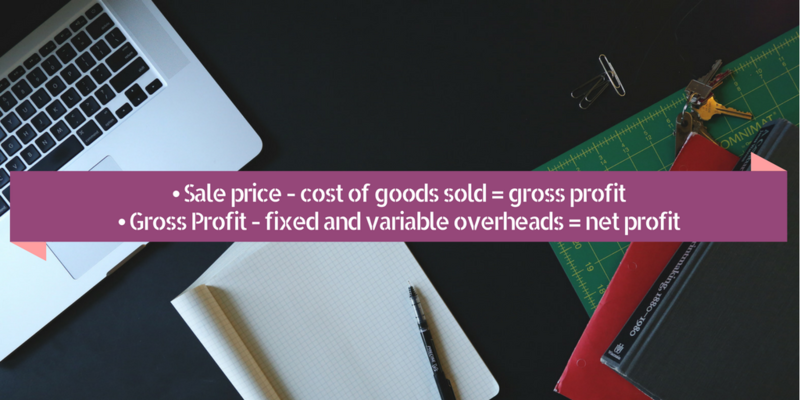 fixed and variable costs as per above, and then add a margin to the cost of the goods, so that the selling price covers the cost of the product and an element of the other overhead costs (both fixed and variable costs). Reducing your costs is one way of improving the profitability and stability of your company. While rising sales are fantastic, they contribute to rising costs, and you could find yourself working harder for not much more reward. Once you’ve reached capacity in your business, reducing your costs – both variable and fixed – is a good way of ensuring profitability. As you get busier, you could benefit from buying in bulk. Suppliers can be keen to increase their sales volumes so will offer a discount if you buy a higher quantity. As long as you have somewhere to store items, and are confident you will be using it, then buying more can be a good money-saving strategy. If you can extend the finance terms so you’re not paying for the whole amount in one hit, then even better! Negotiating with your suppliers, whether over variable or fixed costs is recommended. Most companies would be happier to continue business with you at a more comfortable rate than lose your business altogether to a cheaper competitor, so start the conversation with any existing suppliers you have. Don’t be afraid to negotiate hard when any fixed term contracts come up for renewal, such as rent, or vehicle leasing. Get quotes for everything. If it’s been a while since you shopped around for business supplies, then get out there, find some new suppliers and ask them for quotes. Always get at least three for everything that you buy in – just remember cheapest isn’t always best! At the very least, it will assure you that you’re on the best deal possible right now and empower you to move on to look at cost saving in other areas. You can reduce your staffing costs by considering using freelancers or agency workers. If you find your staff are often under-capacity, then reducing your permanent workforce and buying in extra man power when you need it may be a reasonable alternative. While key staff should always be retained as much as possible to ensure consistency and a high standard of work, some roles could be moved on to a more casual basis. Many people are more than happy to work on a casual or flexible basis – don’t assume that everyone wants a permanent, full-time role. Trim the fat – do you really need everything that you pay for? Doing a quick audit of your weekly expenditure and critically analysing your need for it could help you to identify some easy cost-saving wins. To get professional help in reducing your business costs, get in touch!